← The Sports Archives – The World’s Oldest Football! The Sports Archives – Ambush Marketing: Infamous Examples from Sports Events! Major sporting events have always provided fertile ground for ambush marketing. In fact, it is widely accepted that the 1984 Olympics was the event where ambush marketing originated from. For those not familiar with the term, ambush marketing can be defined as a marketing strategy where companies deliberately align themselves with events so that their brand benefits and capitalizes from such associations. Normally, this kind of association is limited to the official sponsor who has contributed a considerable amount of time and money for exclusive event association, such as Barclays and the English Premier League. However, clever and sometimes borderline legal marketing tactics ambush these rights to exclusivity. This article highlights some famous examples of ambush marketing in sports, particularly the Olympic Games, and outlines the controversy surrounding the issue. As was previously stated, the first major example of ambush marketing occurred in 1984 when the International Olympic Committee (IOC) offered sponsorship contracts to companies in order to fund the Olympics as opposed to public funding. 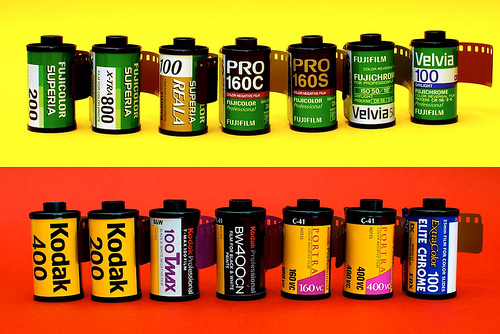 Fuji won the sponsorship contract; however Kodak retaliated by purchasing large amounts of advertising space. Because of Kodak’s extensive advertising during the Olympic Games, the public generally considered both Kodak and Fuji as sponsors of the event. Fuji thought this to be unfair as they had paid large amounts of money to be the official sponsors, although it did not stipulate anywhere in the contract that competitor’s ads were prohibited to run during the games. Ambush marketing occupies a grey area in the legal sphere, and depending on its brashness or severity can occupy both sides of the law. Some high-profile ambush marketing examples have been legal as official sponsors cannot cover every angle of marketing due to time and costs. In other instances, trademark names or phrases are not mentioned in advertising, even though the association is implied. For instance, in another example of sports ambush marketing, American Express undermined Visa’s official sponsorship of the 1992 Olympic Games in Barcelona. American Express ran advertisements that stated “You don’t need a visa to visit Spain”. A recent example of ambush marketing occurred during the FIFA World Cup in South Africa. Dutch beauties dressed in orange miniskirts were removed from the stadium for participating in unlawful commercial activities. The ambush marketing stunt was executed by Dutch brewery Bavaria, who had a tiny outer label carrying the brands name. Even though two of the participants were arrested, the ambush marketing strategy was successful as it received loads of media attention and publicity. Olympic Ambush marketing is expected this summer, but according to statements made by the London Organizing Committee of the Olympic Games (LOCOG), they will take a zero tolerance approach to any form of ambush marketing. Penny Munroe is an avid writer in business related news and topics. Articles include how to make your executive suites more energy-efficient to sourcing the best executive suites Miami has on offer. This entry was posted in Olympics, Soccer and tagged 1984 Los Angeles Olympic Games, 1992 Olympic Games, 2010 World Cup, 2012 Summer Olympics, advertising, ambush marketing, American Express, business, English Premier League, Fuji, International Olympic Committee, Kodak, London Organizing Committee of the Olympic Games, major sporting events, marketing, olympic games, sponsorship contract, sponsorship contracts, sports and leisure, Sports Archives, Visa. Bookmark the permalink. 2 Responses to The Sports Archives – Ambush Marketing: Infamous Examples from Sports Events!